Stéphane Parent is a senior project manager at MAXIMUS in the Prince Edward Island, Canada. He is certified in PMI-SP, PMI-RP, and PMP, in addition to being associated with PMI New Brunswick Chapter. He is currently associated with MAXIMUS as a senior project manager. Stéphane is an excellent speaker as well. He has more than 30 years of experience under his belt, working for public and private organizations in the IT industry. Stéphane has led many projects running the gamut from small-scale to projects worth more than $5M. He is also a Microsoft Server/Project Expert. 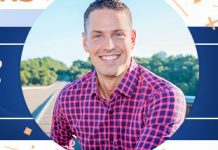 Stéphane has been actively contributing to his community as a board member on a number of profit and non-profit organizations. TaskQue: We are all curious to know how you launched your career. 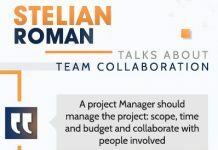 What was the source of inspiration behind entering into the project management arena? SRP: At the tender age of 19, I started out as a manager of a human resources system. Working in HR management really inspired my eventual journey into project management. TaskQue: Prince Edward Island is a small province of Canada with respect to population. 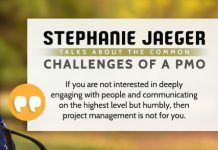 Which personalities or communities are contributing greatly to the project management community over there? SRP: At slightly over 150,000, Prince Edward Island is definitely small, by any measure. The province has invested heavily into supporting technology companies. In doing so, it has opened the door for many project management opportunities. TaskQue: You are associated with Maximus. Tell us about the company vision, your contributions, and job role over there in detail? SRP: MAXIMUS is a government service company. We support government projects and programs in the workforce and healthcare management areas. MAXIMUS’ philosophy is to help governments make a difference in people’s lives. TaskQue: Project scope creeping is a common issue in small agencies. What do you think are the best ways of circumventing it? 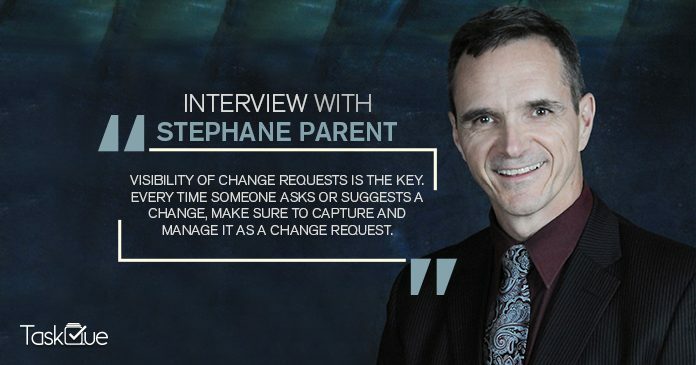 SRP: Visibility of change requests is the key. Every time someone asks or suggests a change, make sure to capture and manage it as a change request. It’s amazing how stakeholders will reconsider their change request when faced with the impact analysis. TaskQue: Planning and prioritizing work is indispensable at workplace. What is your strategy to plan and prioritize work? Do you use any tools? If so, which tools and techniques do you recommend? SRP: For small projects, I often get away with tools such as Asana or Excel. If the project is substantial, I go for Microsoft Project. I keep the top three issues of each project on my daily to-do list. TaskQue: You have been involved in recruiting resources for projects. What are the common mistakes people commit during interviews? SRP: We once hired someone who sounded pretty credible over the phone interview. When he started out, he was totally different from what we had heard on the phone and anticipated. As a result, we switched to video-conferencing interviews to avert such situations. TaskQue: Your profile suggests that you have been involved in task management scheduling as well. Which tools and techniques do you use for it? SRP: Microsoft Project is my go-to tool for scheduling. I’m starting to use ProjectLibre at home for non-work projects. I firmly believe in the critical chain technique of taking buffers out of activities and putting them at the end of the scheduled segment. TaskQue: You have been working in the field for a long time. Which personalities have inspired you greatly? Who do you think are the shining stars in the community? SRP: I had the privilege of attending a full-day seminar with Neal Whitten. Neal instilled in me a new perspective on leadership and my role in its development. TaskQue: Workplace station plays an important role in keeping employees productive. What does your workstation look like? (Please share an image as well). SRP: I keep my workstation uncluttered, with very little on the top. I use files and binders to organize my projects. TaskQue: Apart from your professional life, what are your hobbies and interests? How much do you believe in attaining perfect work-life balance? SRP: We live in a world where the separation between work and personal life is getting more blurred. I make sure that I spare some time for personal activities (workout, meals, training, etc.) so as to not let my work day overwhelm all of my time. I constantly get up from my desk to converse with team members.